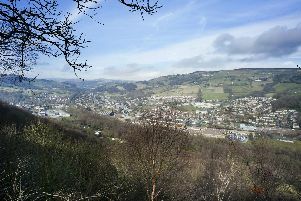 A summit of council and health chiefs, and other partner agencies, called to discuss much-needed improvements to children’s and young people’s mental health services has yet to take place and needs to get moving, say Calderdale’s Liberal Democrats. Calderdale’s Liberal Democrats have called on leader of the council Coun Tim Swift (Lab, Town) to speed up the process. At Calderdale Council’s Cabinet November Coun Ashley Evans (Lib Dem, Warley) asked why getting the meeting together to discuss Child and Adolescent Mental Health Services (CAMHS) – was taking so long. Coun Evans said the notion of a summit meeting was raised months ago and it would comprise key agencies considering much needed changes. Coun Swift said Calderdale’s Clinical Commissioning Group was taking the lead in arranging this. Provisionally a date early in December had been set but a primary aim was to get as many appropriate people there as possible and early January 2019 was now looking likelier, he said. Coun Megan Swift (Lab, Town), who is Cabinet member for Children and Young People’s Services, said for the council’s part officers and councillors had been meeting to discuss CAHMS, it was not the case that nothing had been done. After the meeting Coun Evans, who chairs the council’s Children and Young People Scrutiny Board, said: “Months ago, those present at the Health and Wellbeing Board agreed it would be a good idea for everyone to get together to discuss improving CAMHS. “I’ve now been told this isn’t likely to take place until January. “The delay in developing a multi-agency approach to improving this service just highlights how fragmented the services are and suggests that the issue isn’t being taken as seriously as people say it is. Children need improvements now, said Coun Evans. Members of Calderdale Health and Wellbeing Board heard recently that the position of mental health services for children and young people, more commonly known as CAMHS in Calderdale, reflected the national picture – which essentially meant there were many problems to address and remedy. Services were disjointed with lots of different referral and assessment pathways, limited support for services such as schools, high thresholds for acceptance into treatment and little support if any while children and young people were waiting for treatment.